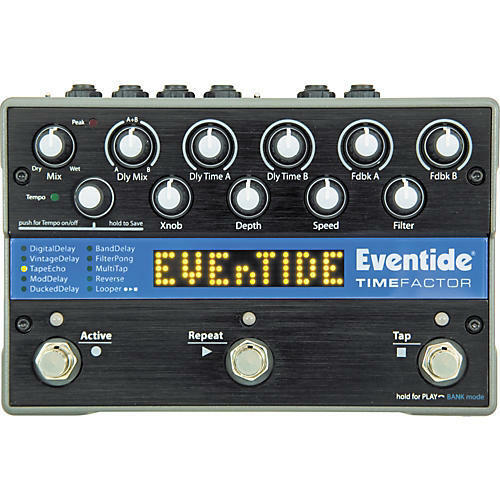 Through the decades, top players have depended on Eventide: Jimmy Page, Frank Zappa, Brian May, Eddie Van Halen, Steve Vai, Robert Frlpp, John Petruccl, and Adrian Belew, to name a few. Now, for the first time, these effects are portable AND affordable. Stomp-box simple, TimeFactor fits on your pedal board or in your gigbag. Size: 4.8' X 7.5' X 2.1 2"